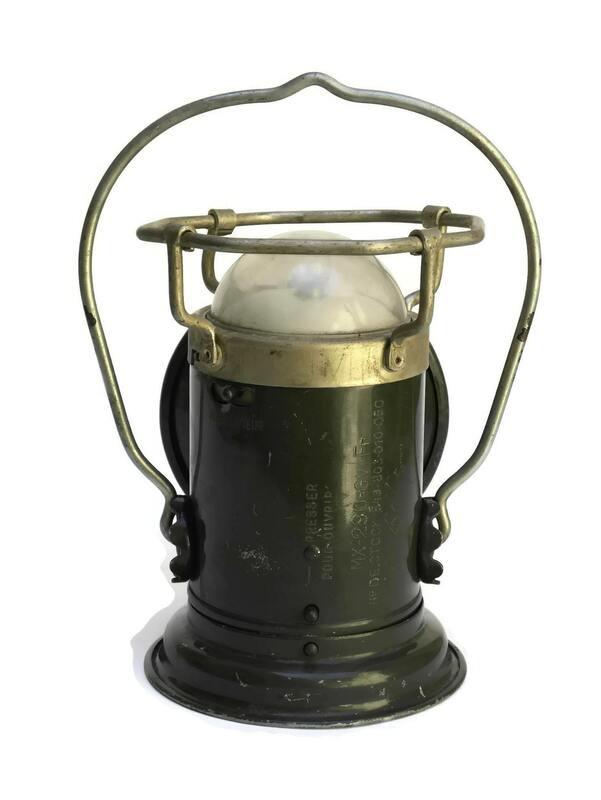 WW2 Military Torch Lantern. 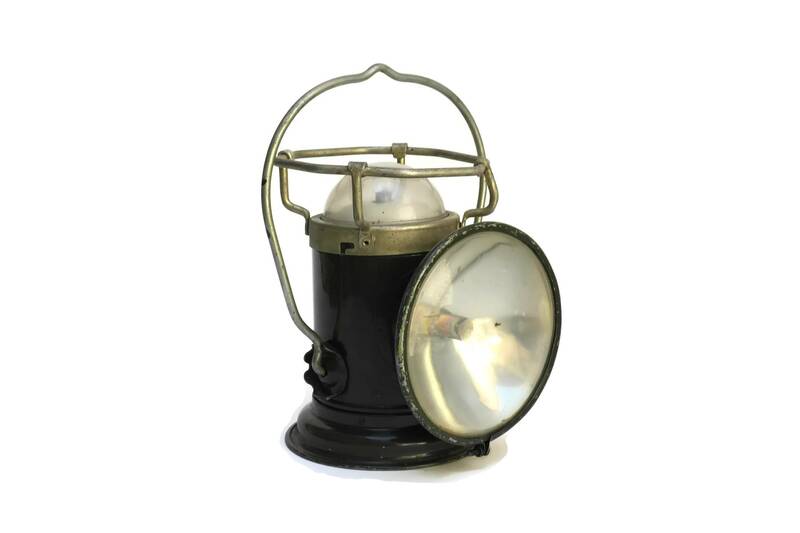 Vintage French Pernet Industrial Lamp. 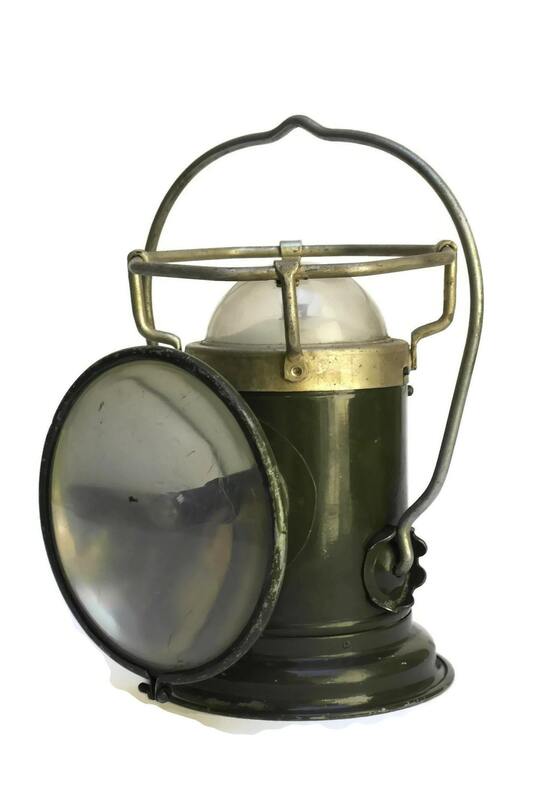 Camping and Outdoor Gifts For Him. 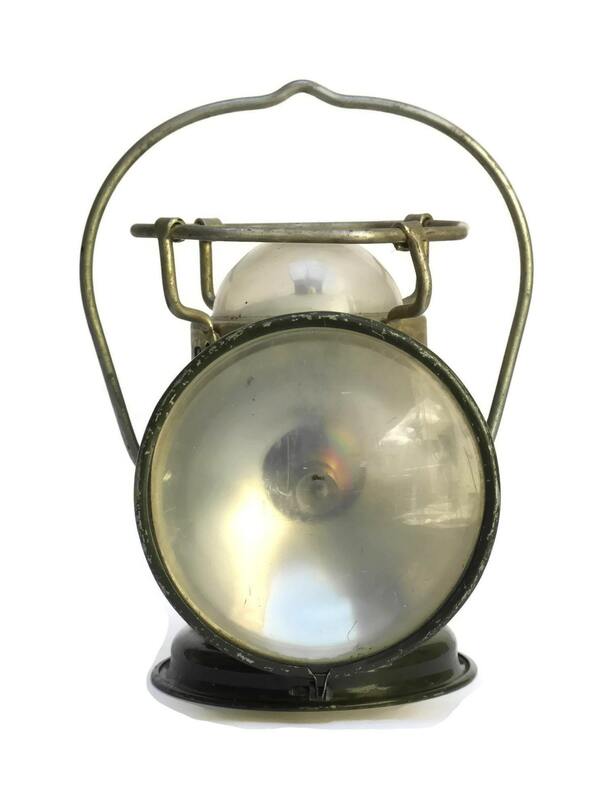 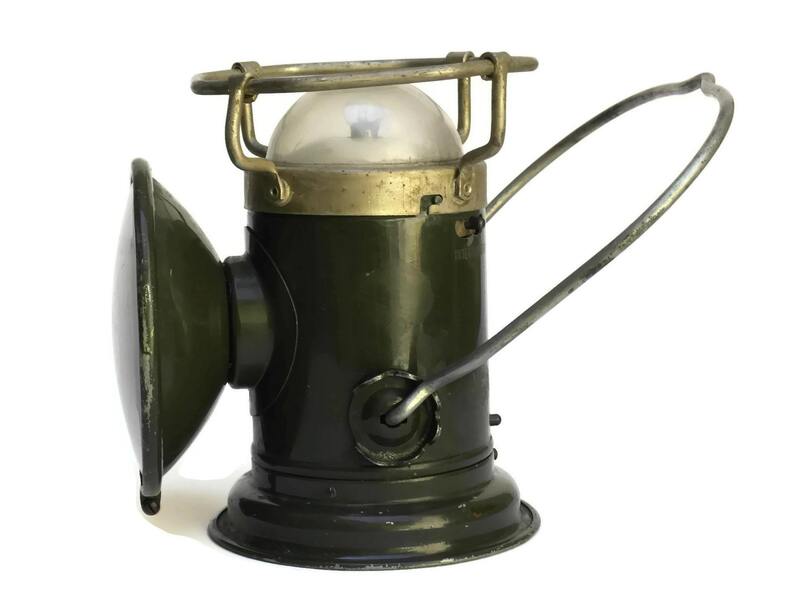 A vintage WW2 military torch lantern originally used by the French army for signalization. 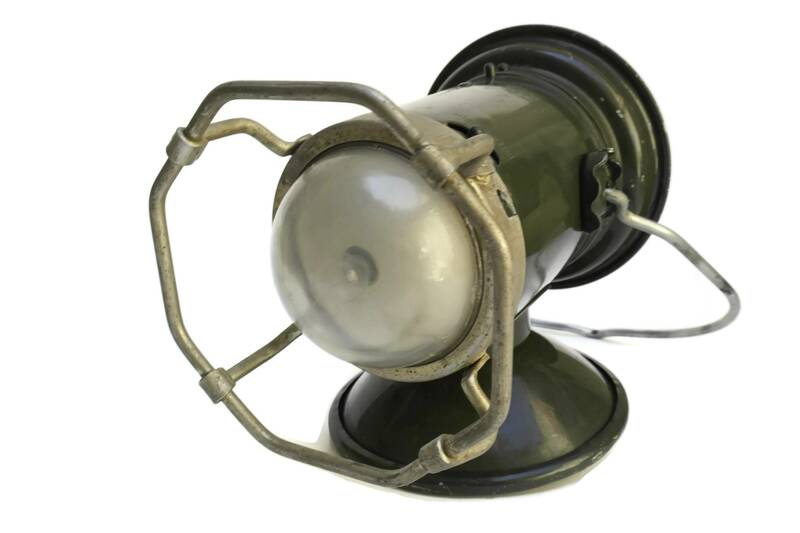 The lamp has been branded "Pernet" and has a stylish industrial form and features a bulb on the front and a second on the top. 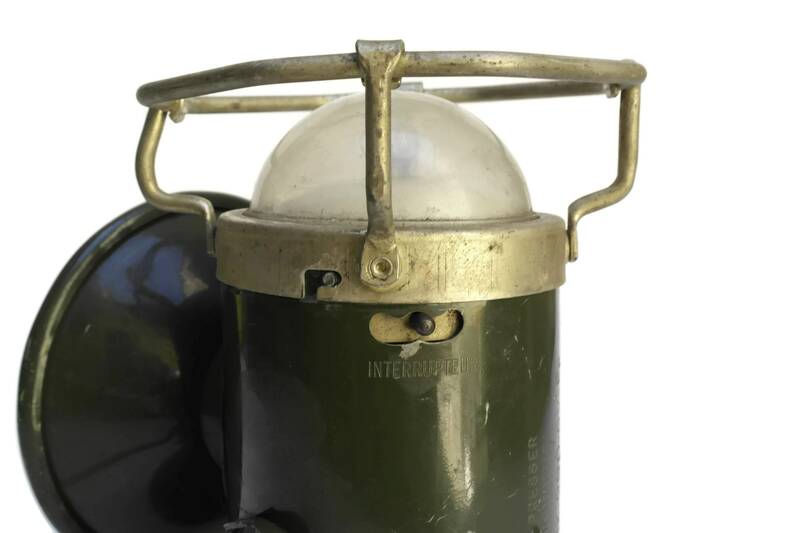 It has an olive green enamelled metal structure with an adjustable carrying handle. 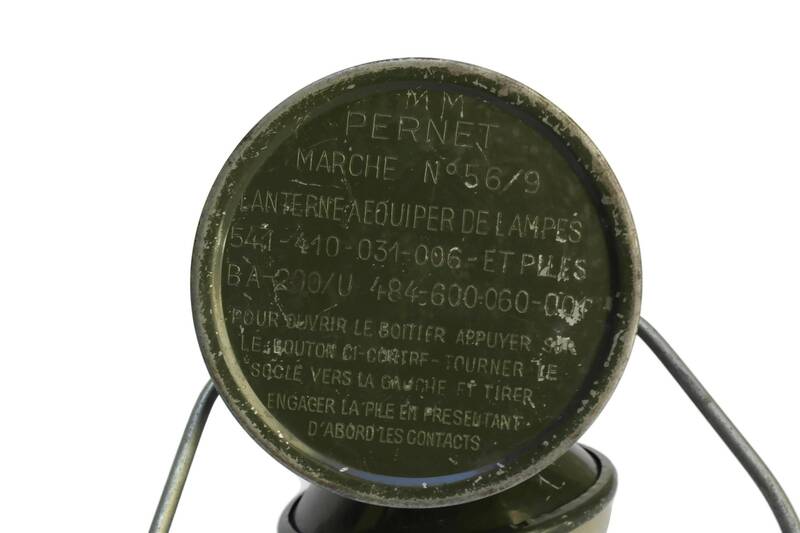 There is an on-off swith and the operating instructions have been impressed in French into the base panel. 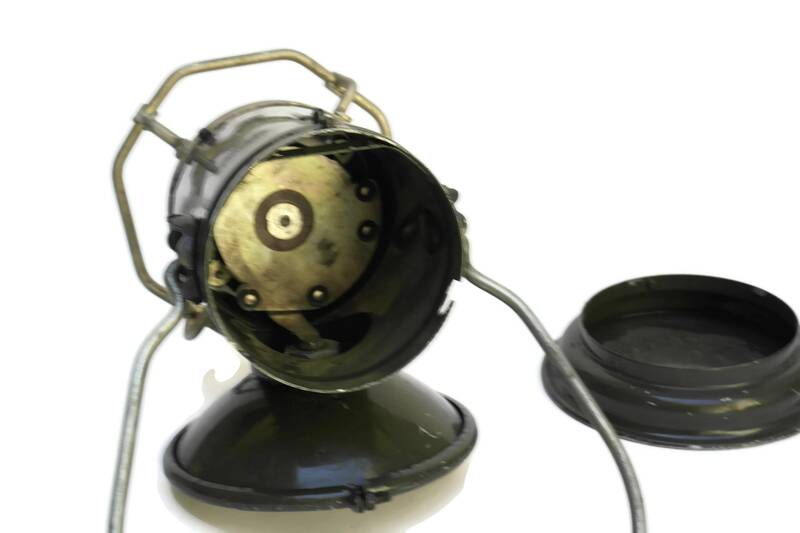 It operates with a 6V battery (not supplied). 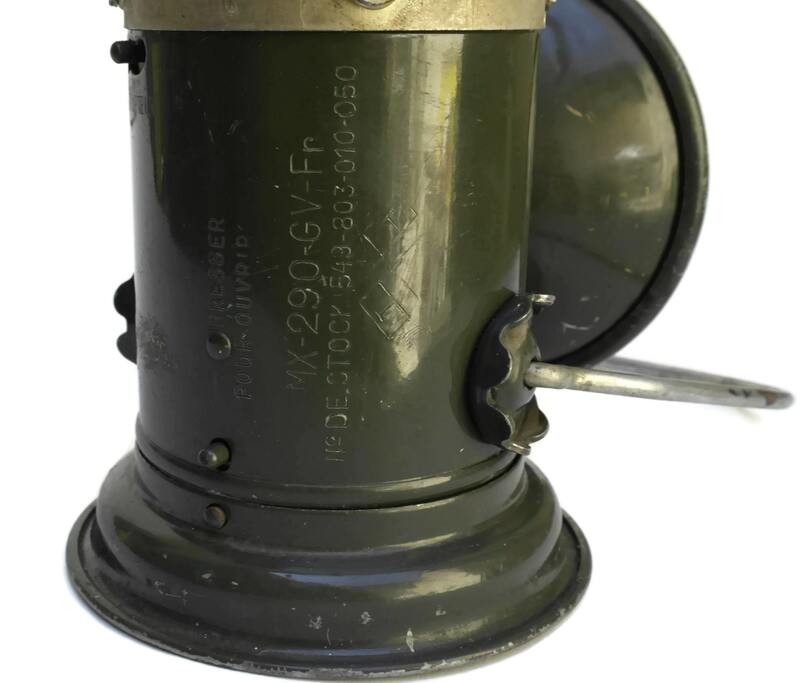 The WW2 French military lamp is in good vintage condition with some surface marks and scratches to the metal and plastic lens covers.